Carnation Auto Blog: Hyundai Grand i10 Vs Honda Amaze - Which Car You Should Buy This Festive Season? 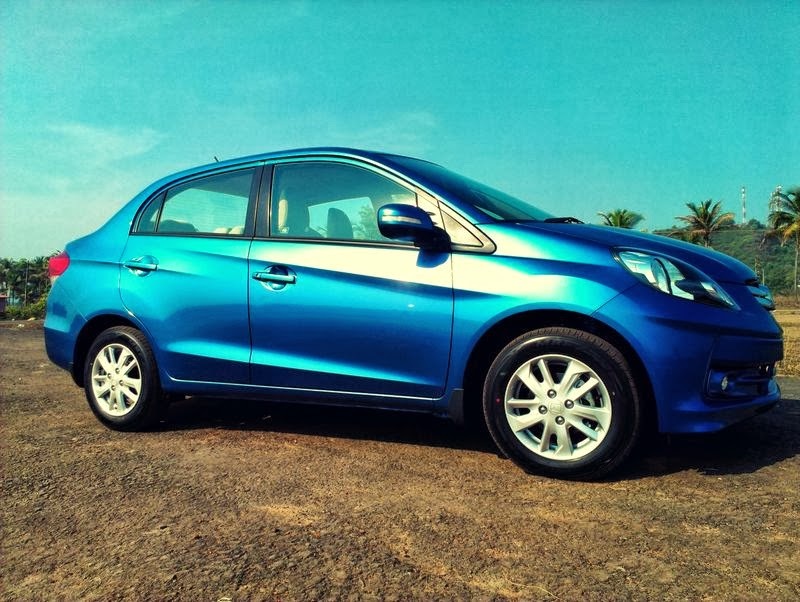 Hyundai Grand i10 Vs Honda Amaze - Which Car You Should Buy This Festive Season? Hyundai Grand i10 is a hatchback while Honda Amaze is a sedan. Hyundai’s Grand i10 is placed between i10 and i20 while Honda Amaze is a new age car that delivers the maximum mileage in Indian roads. Year 2013 saw some great car launches in all the major segments. From Ford Ecosport to Mercedes A class, Nissan Terrano to Bentley Flying Spur, Jaguar F-type to BMW 1 series, many cars were launched for capturing the whims and fancies of Indian customers. And here comes the festive season, when most automakers will offer sumptuous discounts. 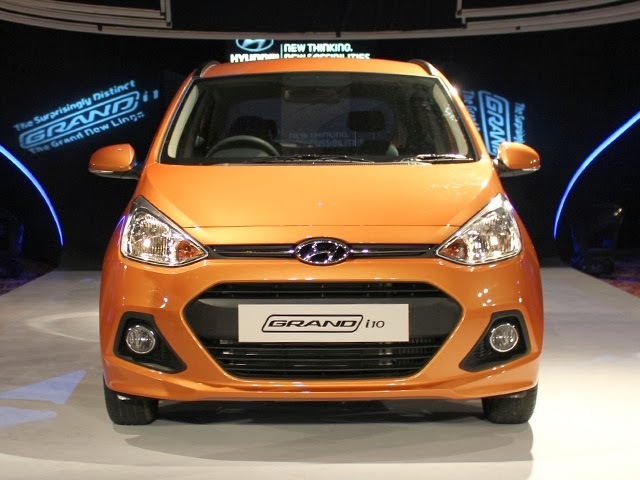 Hyundai Grand i10 is a medium sized car, which has the potential to make huge sales because of its immense customer base in India while Honda cars are always known for its excellent engineering capabilities. Hyundai Grand i10 has 2nd generation CRDi 1.1 L U2 diesel engine that offers maximum power of 70.7 PS while the diesel version of Honda Amaze has 1.5 L DOHC iDTEC engine that delivers a max power of 100 PS. The petrol version of Grand i10 has 1.2 L Kappa Dual VTVT engine that offers maximum power of 82.94 PS and the petrol variant of Honda Amaze has 1.2 L iVTEC engine that produces a max power of 88 PS. The engine performance as expected is higher in Honda Amaze. To know more about Hyundai Grand i10, click here: Hyundai Grand i10 Price, Mileage,Specifications, Engine etc. Hyundai Grand i10 comes with a price tag of Rs. 4.3 lakhs while the base variant of Honda Amaze is available for Rs.4.99 lakhs, which is comparatively low for a sedan. Honda Amaze is a bigger car with a large boot. Both the cars offer good mileage, the diesel version of Hyundai Grand i10 delivers 24 kmpl while the petrol version gives a mileage of 18.9 kmpl. While in case of Honda Amaze, the diesel variant gives a top mileage of 25.8 kmpl and the petrol variant delivers a maximum mileage of 18 kmpl. Honda Amaze diesel is surely a winner. The top speed of Honda Amaze is 141 kmph while Hyundai Grand i10 is faster with a top speed of 157 kmph. Honda Amaze doesn’t have Bluetooth sync option while Grand i10 have them mounted on the steering. All the major safety features like engine immobilizer anti theft system, dual airbags, ABS with EBD and central locking available in both the cars. Verdict: Honda amaze is a bigger car with great mileage, engine performance and a large boot space to flaunt. Grand i10 is technologically advanced than Honda Amaze but if we compare the price, looks and performance, Amaze surely is the winner. This festive season, if you are planning to buy a nice family car then you should probably opt for Honda Amaze for all its delightful qualities. To know more about Honda Amaze, Click Here: Honda Amaze Mileage, Specifications, Price, Engine etc.